Whether you are replacing your old ophthalmic lane equipment or starting fresh, it’s important to evaluate a few important areas to figure out which equipment best fits your needs. 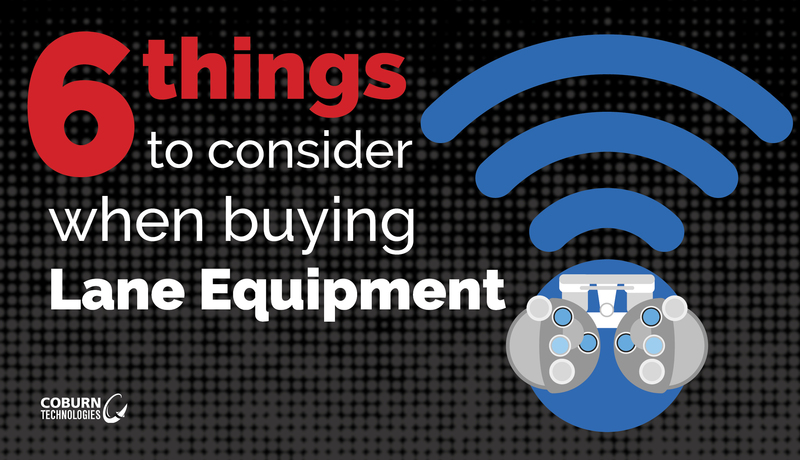 Of course there are plenty of concerns to think about, but here are our top 6 things to consider when buying lane equipment. Manufacturers with national service coverage and a long history in the industry are strong factors to consider before buying any medical equipment. Pick a company that brings experience to the table and serves solid expertise. Industry leaders can bring not only more experience, but more knowledge and credibility to you and your office. The worldwide market for digital refraction is led by three major manufacturers; Huvitz (distributed by Coburn Technologies), Nidek (distributed by Marco) and Topcon. Choose products from well-known major brands and enjoy the benefits resulting from the most accurate equipment on the market. Making sure your equipment is EHR compatible will benefit your practice by becoming more effective and increasing the accuracy of patient records. With the integration of electronic health records (EHR), transmitting data from an auto ref-keratometer and lensmeter to a digital refractor has never been easier. Technicians no longer have to move from the pretest room to the exam room with papers in hand risking losing files and human error when inputting data. Not to mention the time, money and energy you would save by going paperless. Extra! Extra! Read all about it! Or just add it on. Look for equipment that operates with more than the basic functions. Don’t waste time and money on separate products with functions that already exist as add-on utilities on other equipment. For example, LED screens on most devices today are emitting harmful blue light, so why not take advantage of Coburn’s HLM-9000 Lensmeter – the only lensmeter in the world with blue light measurement function? What about the increasing concerns of dry eye related symptoms? There’s an add-on feature for that on Coburn’s HRK-9000 Auto Ref-Keratometer with Meibomian Gland measurement and anterior imaging functions. Wi-Fi Isn’t Just for Your Smart Phone. Some equipment on the market offer external memory products and capabilities, such as an SD card, to provide basic wireless communication. The disadvantages here are that the product may be misplaced or forgotten and it takes time away from customer service. Equipment with Wi-Fi capabilities makes it easier to transmit refraction data between devices, make comparisons and conclusions on the prescription as well as save you time to focus on the patient. After years of seeing patients with a manual refractor, doctors have experienced shoulder pain sometimes leading to early retirement, but you’re still in your prime! Automating the refractor is one of the smartest things to consider for more comfortable exams and better practice efficiency. Any electro-mechanic equipment could have its down time or communication disruption, so why not have a back-up plan? Consider purchasing a lane that has an integrated printer in each piece of equipment, saving you time, stress and energy. If you still have questions about purchasing ophthalmic lane equipment, we are here to help! You shouldn’t have to figure it out on your own. Contact us.